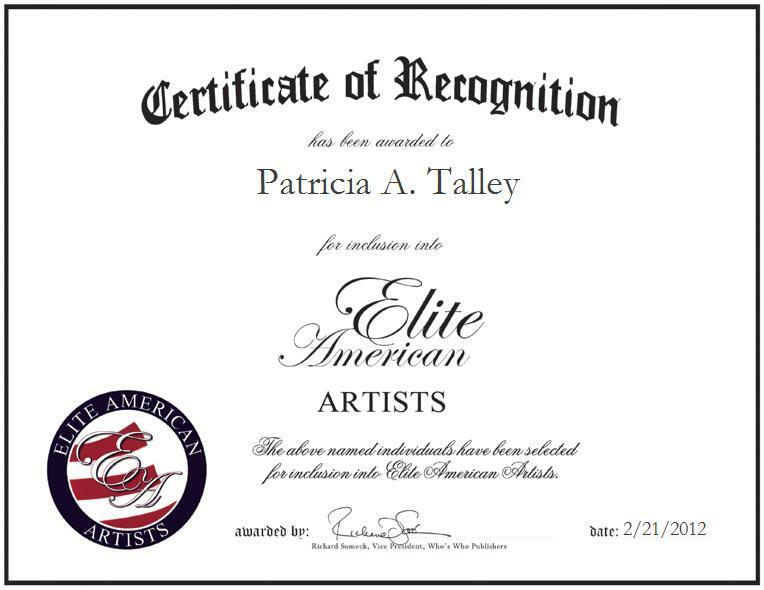 Patricia A. Talley is a Professional Artist and owner of Creative Arts By Pat, an art gallery based in Alamosa, Colorado. Ms. Talley specializes in the creation of realistic works of art, and she paints realism art pieces depicting architecture such as windmills in Holland. After being inspired by the beauty of the valleys of Colorado at a young age, including Mt. Blanca, the Sangre de Cristo Range, and the Rocky Mountains, Ms. Talley was prompted to pursue a career that would allow her to showcase both her talents and a love for art. She completed coursework in advanced artwork in Monte Vista, and studied pastels at the University of Kansas; she is also accredited as a Hobby Lobby Instructor. She has amassed more than 41 years of professional experience, and she continues to strive for excellence in her every endeavor.